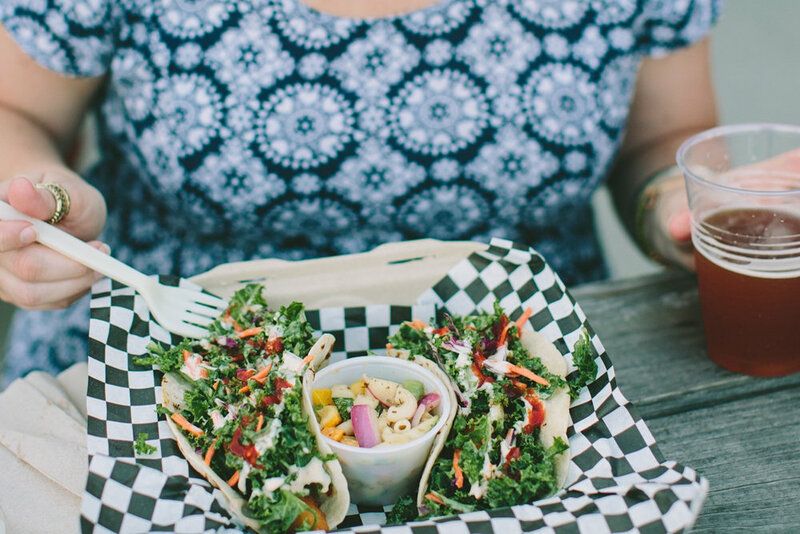 ThoroughFARE is the longest-running food truck in the Upstate, with a rotating menu of simple dishes with big flavors. ThoroughFARE opened it's window in September of 2013 and has been serving Greenville, SC ever since. Owned and operated by husband and wife Neil and Jessica Barley, ThoroughFARE specializes in public dinners and private events. Our menu frequently changes, as we develop new ideas, find new products and hunt for seasonal flavors. We source meats and produce from local suppliers whenever possible, guaranteeing fresh, quality menu items. At ThoroughFARE, we have an appreciation for shared meals and believe food is a vital aspect of community. When people come together with the common purpose of sharing food and conversation, great things can happen: strangers become friends, values and traditions are shared and learned, and community is built organically. See you in the window! As our kitchen is literally on wheels, we are uniquely equipped to provide you with fresh, high-quality catering options. Every event is different, so we work with you to create a custom menu and service style that fits your individual needs. CLICK HERE for a list of our available catering menu items and get some ideas for your event! Please fill out the contact form below, including as much information as possible. Or, email us directly at info@thoroughfarefoodtruck.com. Thoroughfare is always looking for hard-working, self-motivated and creative individuals to join our part-time team! Flexible hours and weekend availability is required. Please fill out the form below, or email your resume to info@thoroughfarefoodtruck.com. How many hours a week are you available?